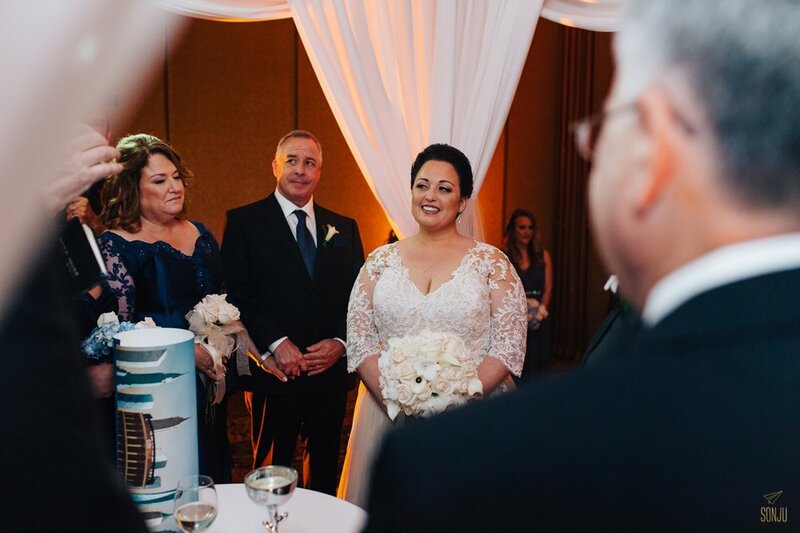 Brooke and Michael's wedding day at the Delray Beach Marriott was nothing short of magical. Brooke wanted a first look with her dad, which left us teary-eyed. On what felt like the windiest day in the history of South Florida, Brooke and Mike shared a first look, and some romantic portraits along Atlantic Avenue. Their Ketuvah signing with Rabbi Mark Gross gave us the giggles too (For reals, their rabbi should have a side-hustle as a comedian!) After their warmly lit ceremony under the chuppah, Brooke and Mike's guests danced the night away to the sounds of Mike Sipe Entertainment. There's truly nothing better than a live band and percussionist to get the party going.